This boat hasn't been “introduced” just yet, but we got a sneak-peek at the Boston Whaler 240 Dauntless. 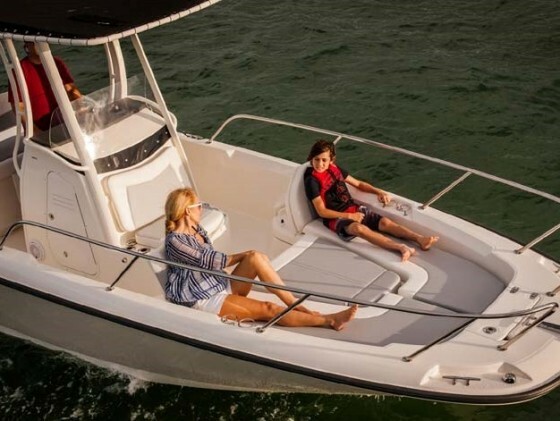 The Boston Whaler Dauntless family is growing this year with a new Dauntless 240 that’s going to be introduced soon, following close on the heels of the flagship 270 Dauntless introduced less than a year ago. Lucky for you and us, we got a sneak peek at the boat when it made an unannounced cameo at the Annapolis Powerboat Show. What can you do on a Dauntless? The real question is, what can't you do. The new 240 is the second-largest boat in the Dauntless fleet, which are all sort of do-everything Whalers. 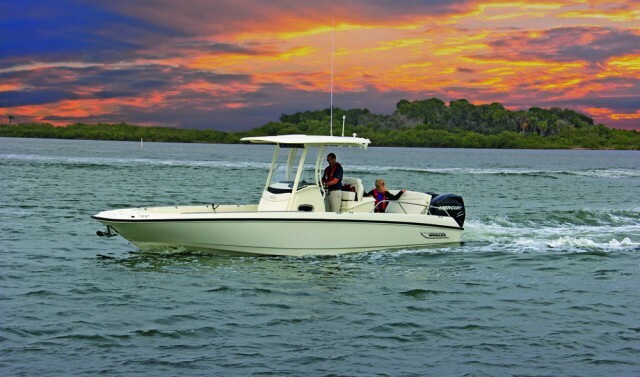 The 240 has, for example, all of the prerequisite fishing accouterments, including four rodholders in the stern, lockable rod stowage/fishboxes in the bow, and a livewell in the forward console seat. But add Whaler’s All-Activity tower to the boat, and suddenly you have a water skiing/wakeboarding machine. Or slide the foredeck filler and cushions into place, and kick back in comfort—the entire foredeck area can be converted into a huge sunpad. The end pieces on either side flip up to create backrests, too, so you can sit forward-facing in the bow while the boat’s underway. And there’s more cushy seating in the stern, where a long bench seat can fold down into an aft casting platform. Bow seating on boats of this type usually isn't well suite for use while under way. 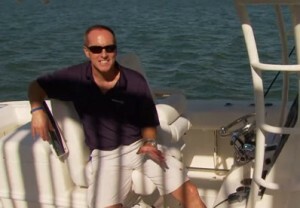 But on the Boston Whaler 240 Dauntless, it's a different story. Though you’ll have to so some stooping and squeezing to access it, there is a portable MSD inside the console. Why didn’t Whaler make the console bigger, and provide more room inside? 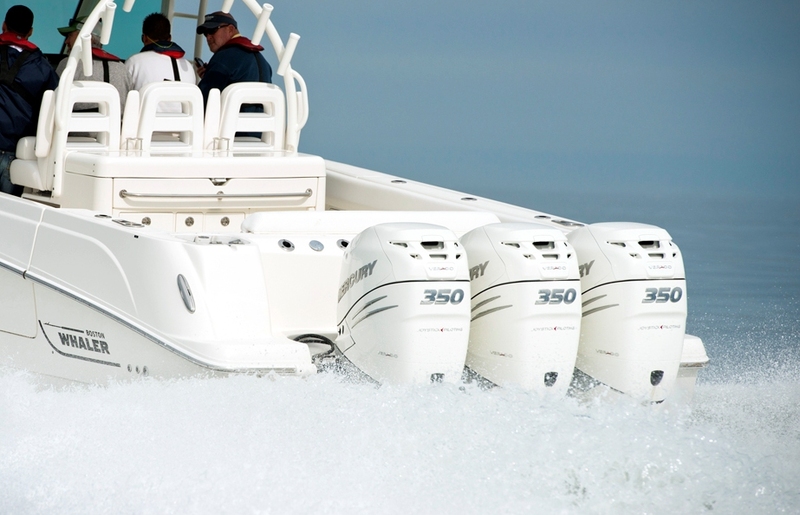 Because that would eat away at deck space, and enjoying your time in the great outdoors is what this boat is all about—whichever waterborne activity you happen to like the most. And regardless of what that may be, everyone’s sure to like the performance the 240 Dauntless provides. 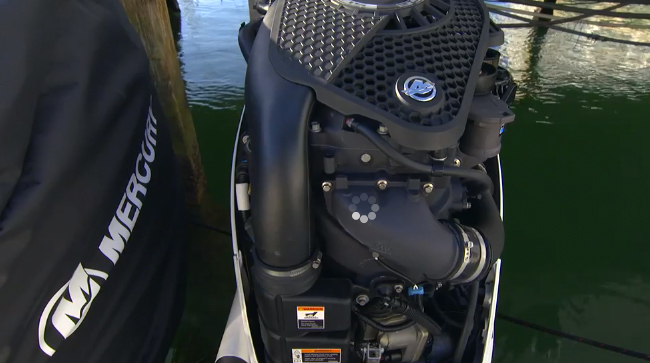 The boat we saw in Annapolis had a single 300-hp Mercury Verado on the transom, and with this powerplant Whalers says you can break 53-mph, cruise in the mid 30’s at 4500 rpm, and jump on plane in 5.2 seconds. 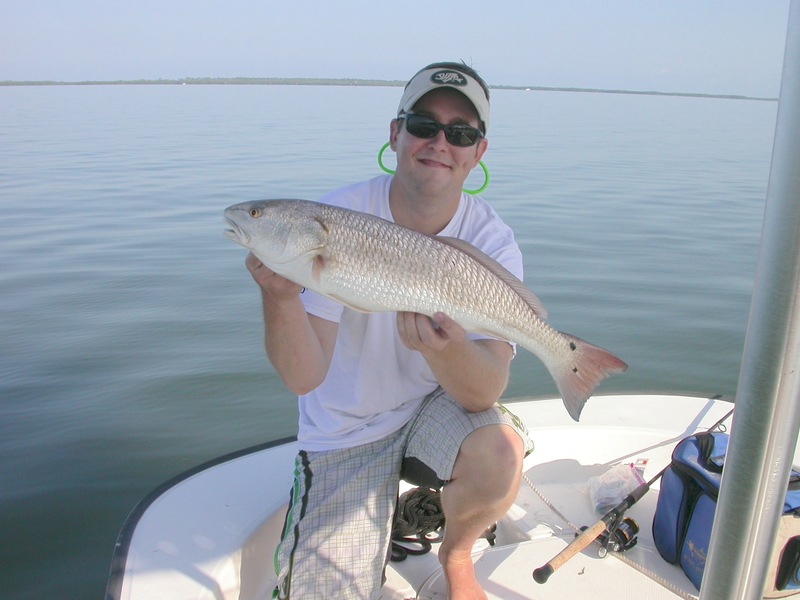 That’s plenty of pep, whether you want to run across the bay for lunch at a dock-side restaurant or yank a 200-lb. skier out of the hole. 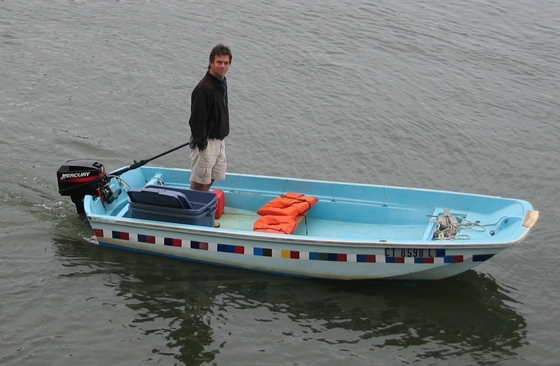 Construction is, of course, standard Boston Whaler. The inner and outer hull liners are pumped up with closed-cell foam which, when it hardens, bonds everything together into a single structure. Not only does this create a rigid, rugged structure, it builds in gobs of floatation, insulation, and sound-deadening properties. 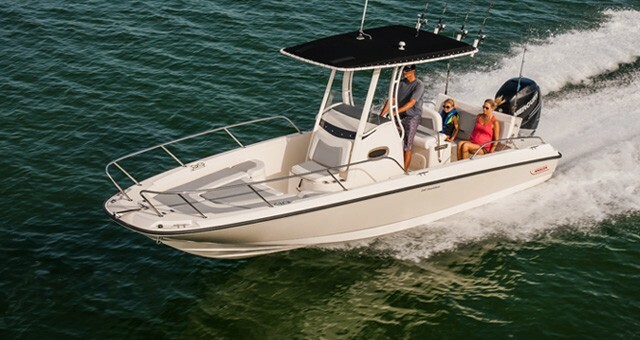 News Flash: Boston Whaler is also introducing a new 21 Dauntless later this year. Keep your eyes peeled, folks – you never know when a sneak-peek opportunity is going to present itself.